﻿ Rizzan Sea-Park Hotel Tancha Bay, Okinawa Main island | FROM $62 - SAVE ON AGODA! "Very nice seaview from room balcony." "Beautiful ocean view and big room." "Arcade, convenience stall, DIY corner, Swimming pool." 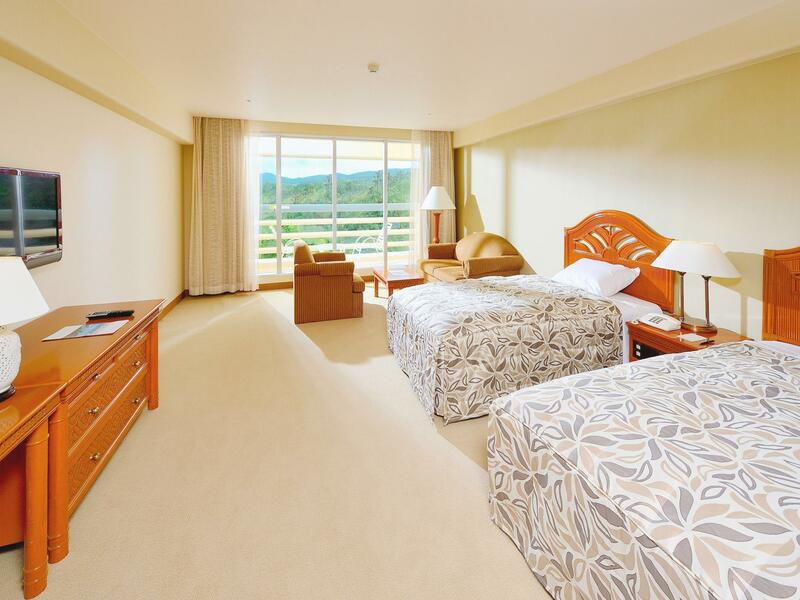 Ideal for fun and relaxation, Rizzan Sea-Park Hotel Tancha Bay is located in the Onna area of Okinawa. 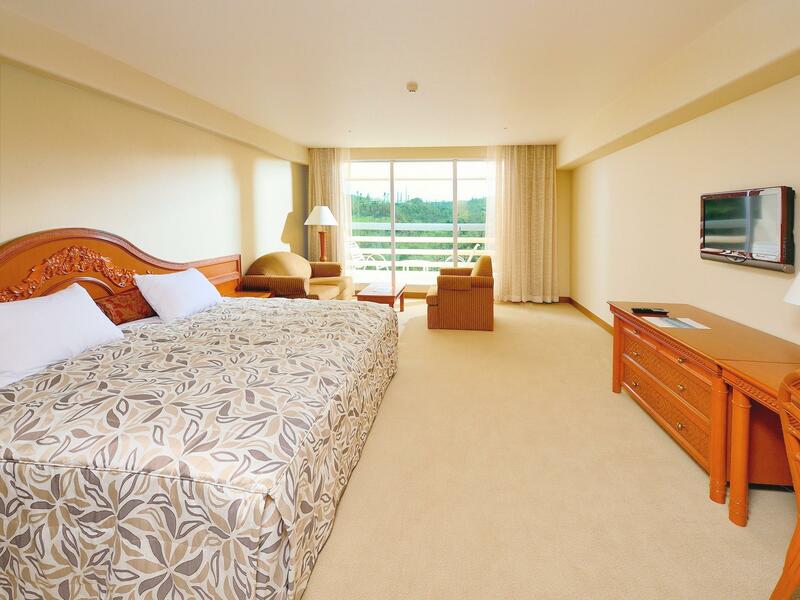 Only 53.4km away, this 4-star hotel can be easily accessed from the airport. For those of you who want to venture out, Sun Marina Beach, Bios Hill, Ryukyumura Theme Park are just some of the attractions available to visitors. At Rizzan Sea-Park Hotel Tancha Bay, every effort is made to make guests feel comfortable. 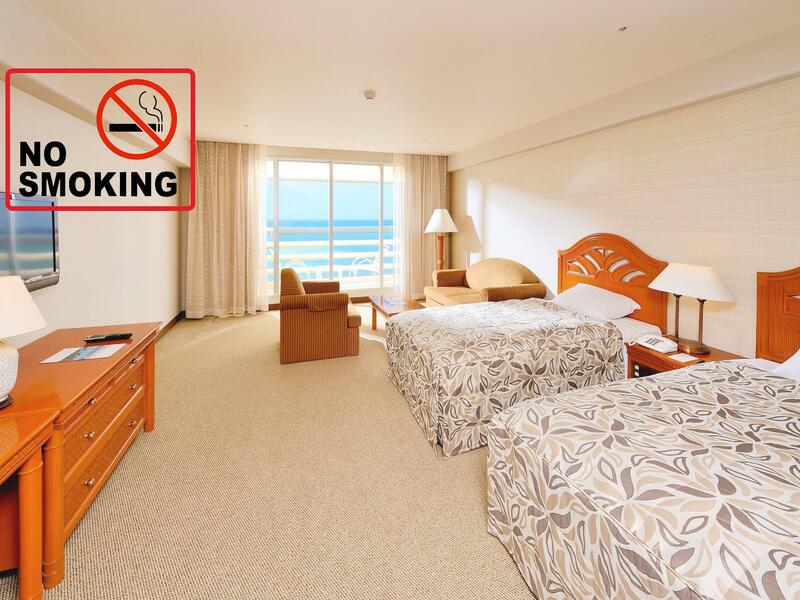 To do so, the hotel provides the best in services and amenities. The hotel offers access to a vast array of services, including free Wi-Fi in all rooms, laundromat, convenience store, taxi service, chapel. 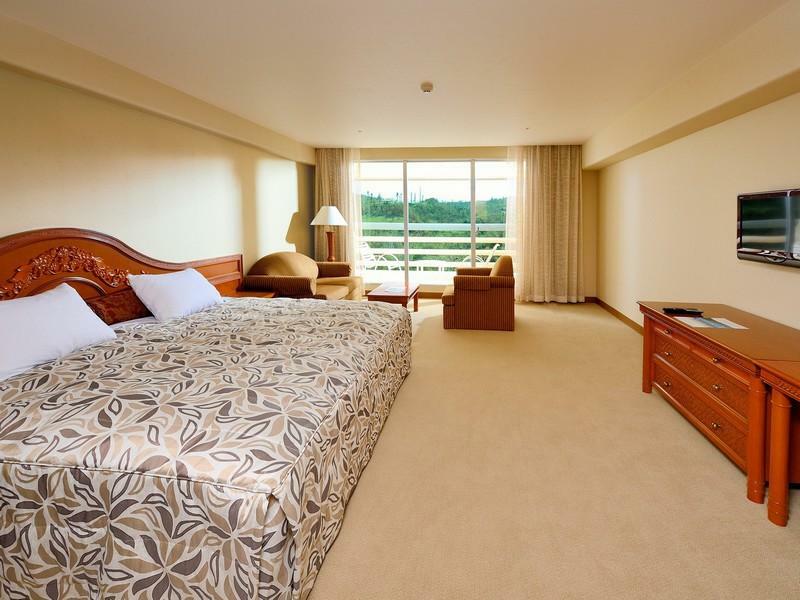 780 rooms spread over 9 floors provide a warm and pleasant home away from home. Modern comforts such as television LCD/plasma screen, complimentary instant coffee, complimentary tea, slippers, sofa can be found in selected rooms. The hotel offers an excellent variety of recreational facilities, including sauna, outdoor pool, indoor pool, diving, spa. 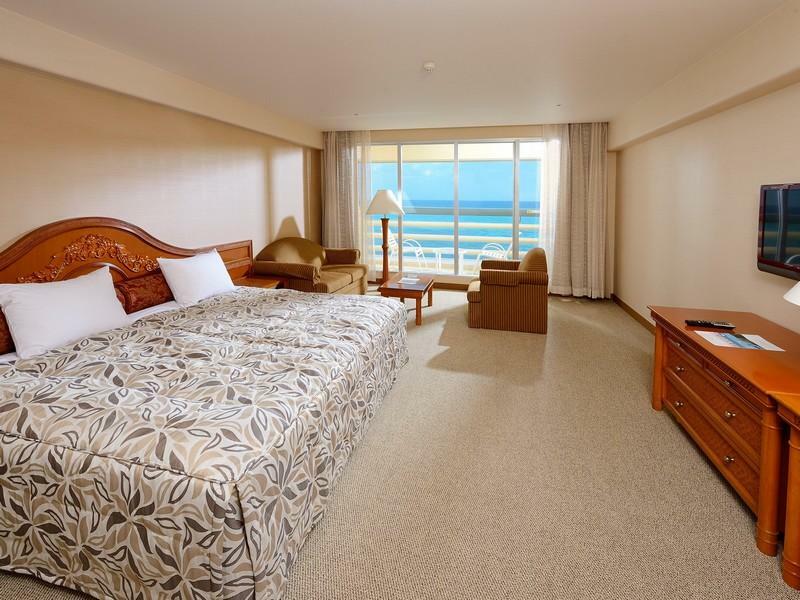 Whatever your reason for visiting Okinawa, the Rizzan Sea-Park Hotel Tancha Bay is the perfect venue for an exhilarating and exciting break away. "Happy memory with my kids ,great food and facility many japa..."
Guests staying at the property will be offered a complimentary drink coupon per person. Guests who booked a room with breakfast will be given a breakfast coupon upon check-in. If breakfast is not consumed, the coupon can be used for a buffet lunch at the Blue Lagoon restaurant. Guests who reserved a room with dinner must check in before 08:00 PM or dinner cannot be served and no refund provided. Airport transfer is available at an additional charge. Guests are able to contact the property after receiving booking confirmation. Children 3 – 5 years old will be charged JPY 1,080 when using existing bedding. Baby cot is available for children under 1 year old only. Accessible by limousine bus C. The Seaview from our hotel room balcony is great. We are satisfied with Japanese buffet breakfastl but not the Western/Chinese buffet dinner. Although dinner has a variety of dishes, taste is just ordinary. Cozy hotel with big rooms n worth the price, wide choices for Japan & Western buffet b'fast @ 1F, beach/sea was excellent, staffs were friendly, attractions location not much but good for water/sea activities. The hotel is a bit old,refrigerator in room doesnt work at all,stunning seaview from room,outstanding breakfast,but not so impressed by the BBQ buffet at night,will definitely come again,actually i just booked this hotel again right after 3 months from first visit! 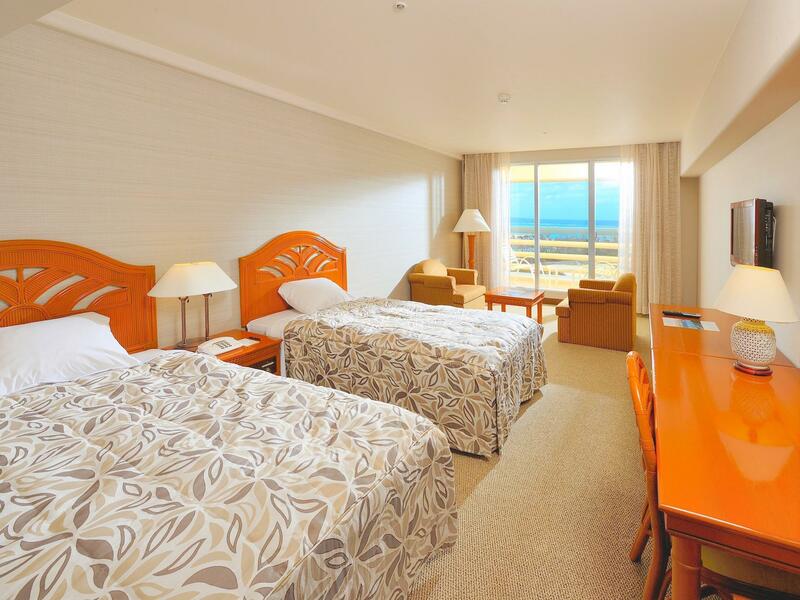 + reasonable price hotel with personal beach and all facilicties you need ( anyway in winter season, you cannot swim in the sea and the outdoor pool is close) + can take bus number 20 or 120 from Naha the bus stop is 3 minutes walk from the hotel, or take Airport limousine bus that will send you to the hotel lobby. You have to buy the limousine ticket from the front staff to go back to Naha Airport. - Before 2 p.m. , there is rarely staff that can understand English. One of staff that took care of me could do only following procidure step by step, but could not commuicate more than that. Children can not use the pool because they forget to wear swimwear. Even if you find a suit that is close to it, but no staff to wear swimwear. If there is an accident in the pool, will you go down to the pool? And last year there was a swimming pool activity. Many of the staff did not wear swimwear in the pool. But guests who use the pool are not available because they do not wear swimwear. Many times come here and understand the mistakes of the staff, but the guests do not miss anything. Disappointed with this decision. Arcade, convenience stall, DIY corner, Swimming pool. You name it, they have it. Most of all, I love how they reward you for not wasting resources on cleaning the room during the stay. The hotel is great, albeit a little old. Very good facilities at hotel including shops, children's play areas. Very comfortable. Excellent view and friendly staffs. We will go back again definitely. Beautiful ocean view and big room. A huge property with both indoor and outdoor swimming pools, with a couples of restaurants and shops. If you do not require housekeeping, you are entitle daily coupon worth of 400/600 yens that you can use it for the restaurants and shops. As for breakfast I would prefer the level 1 cafe serving western and Japanese cuisines. Travelling around with a car is best option in Okinawa as the public transportation is limited. Only like about the breakfast which has wise selection. View from the restaurant is excellent. Other than this, the hotel is over crowded specially during breakfast hour. The room is pretty huge but very empty. Mirror in front of bed which let me feel uncomfortable during sleep. Bath room is good. Room is large with great ocean view. Very relaxing and have a great time with kids while staying at Rizzan Sea-Park Hotel Tancha Bay. Restaurants and facilities are good and friendly for guests. Looking forward to visit it someday soon. There are so many things to do in the hotel and they gave us coupons that can be used in hotel when we didn't ask to clean our room. 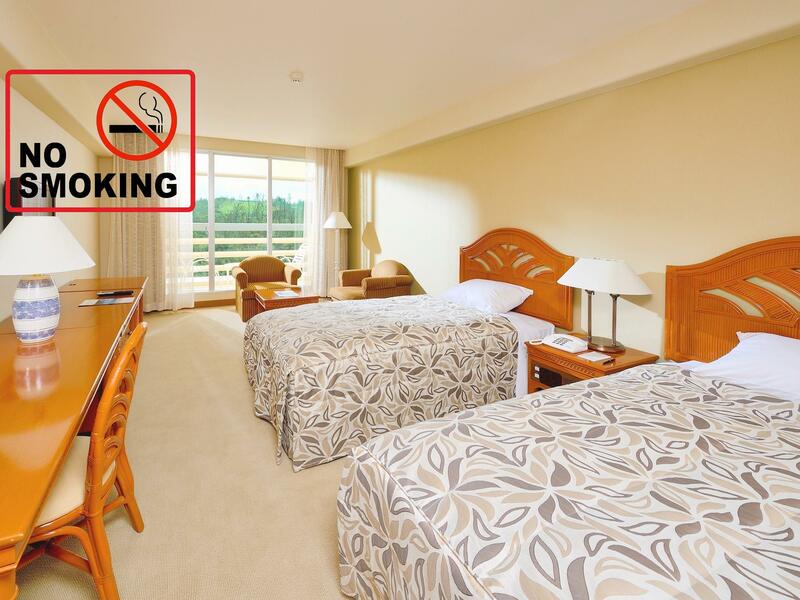 I was staying at 9th floor and asked to have non-smoking room. 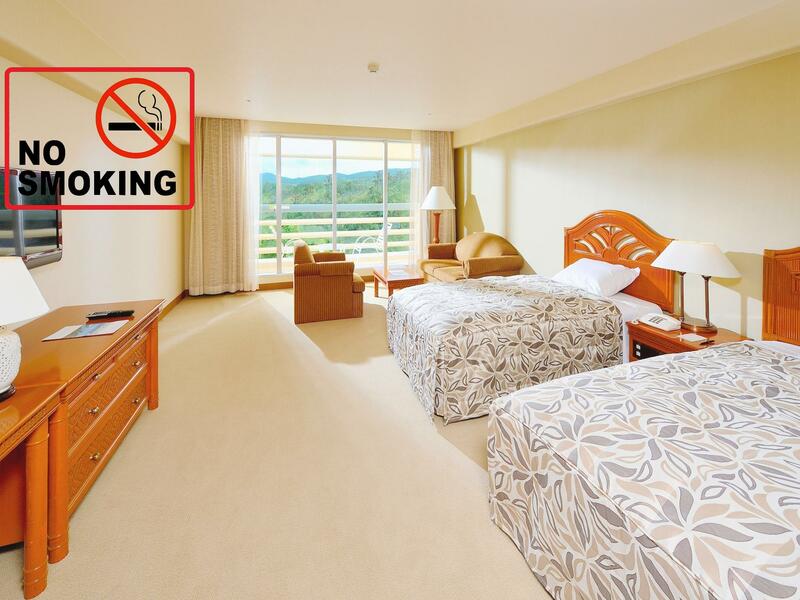 The smoking room and non-smoking room are on the same floor, even though we have non-smoking room.... we can smell all the smoke when we walking down the hallway. This is second time visiting, everything is still wonderful. No matter food, room, beach, and service. All of them are perfect, I will plan the next visit in the summertime. We had a seminar at OIST for a couple of days. OIST is walking distance from Rizzan, although walking to it can be challenging because OIST is uphill. The hotel is quite old but facilities of Rizzan is clean and complete. I enjoyed using their discount coupon for their facilities. I tasted Sake from the Coral View Bar as a welcome drink. I've been here twice, during winter and summer. It is such a lively place to be during summer, lots of happy family with kids enjoying in the beach. As all reviews have mention, hotel is not new. Rooms are old, but big. Beds are clean and no issues with the bath room. Must get sea view if possible. Lots of activities in the hotel for kids. Great breakfast. Location is ideal if you drive. There is a family mart just beside the car park, about 3 mins walk from hotel.